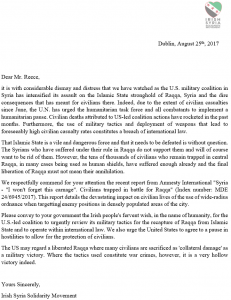 The following letter was sent to the US Chargé d’affaires at the U.S. Embassy in Dublin and was accompanied by a protest at the wanton destruction of central Raqqa by the U.S. military and its allies in Syria. 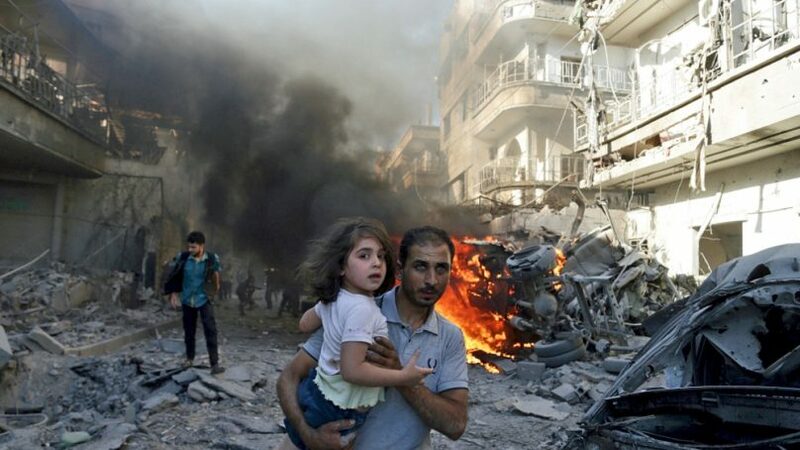 We are requesting that you represent us expeditiously at the United Nations, to demand an immediate cessation to the bombing of hospitals in Idlib, and other opposition-controlled areas in Syria. 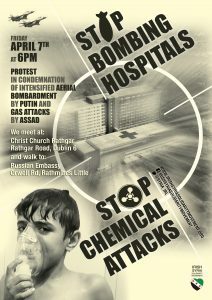 We represent doctors, nurses, paramedics, physiotherapists, occupational therapists, dieticians, scientists and all those sickened by the annihilation of hospitals, staff and patients by Assad and Russian forces. 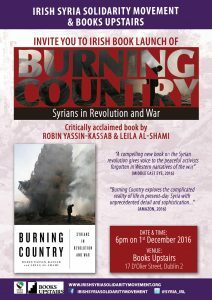 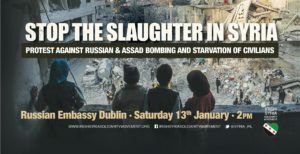 These actions are evil war-crimes and they must stop. 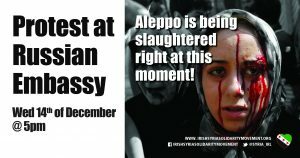 It is unacceptable to watch this slaughter of Syrians in real time and the Geneva convention has been openly defied. 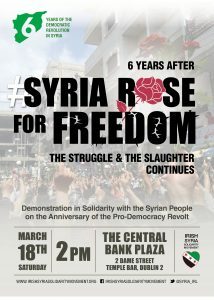 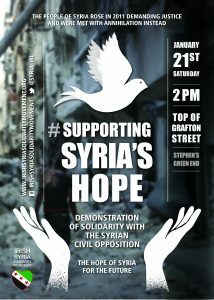 Dear Minister Flanagan as our representative, we ask that our solidarity with the Syrian people be voiced as a matter of the greatest urgency.